Money from Heaven - RUB (Loop). 1000 rubles bills falling from sky. Seamless loop, slight motion blur for realistic movement. hd00:24Money from Heaven - RUB (Loop). 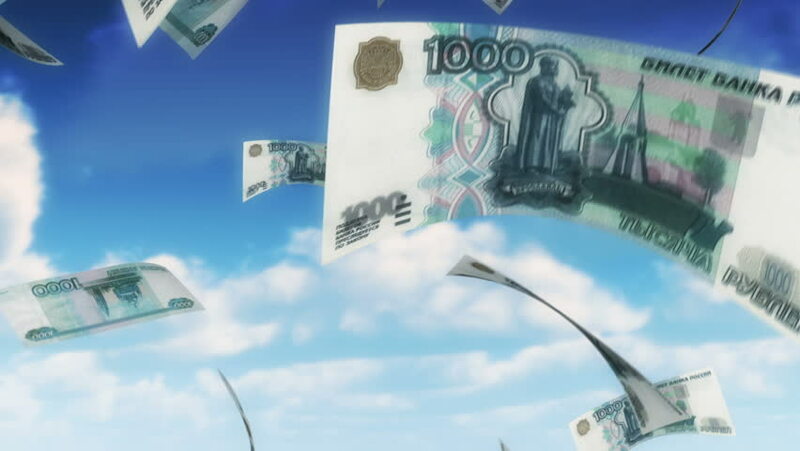 1000 Russian Rubles bills falling from sky. Seamless loop, slight motion blur for realistic movement. hd00:24Money from Heaven - EUR (Loop). 100 Euro bills falling from sky. Seamless loop, slight motion blur for realistic movement. hd00:24Falling Rubles (Loop on White). Falling 1000 Russian Rubles bills. Perfect for your own background. Seamless loop, no motion blur, clean mask. hd00:24Money from Heaven - JPY (Loop). 10000 Japanese Yen bills falling from sky. Seamless loop, slight motion blur for realistic movement.